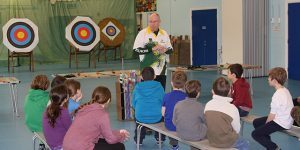 Devizes Bowmen introduce over 80 children to the sport of archery. 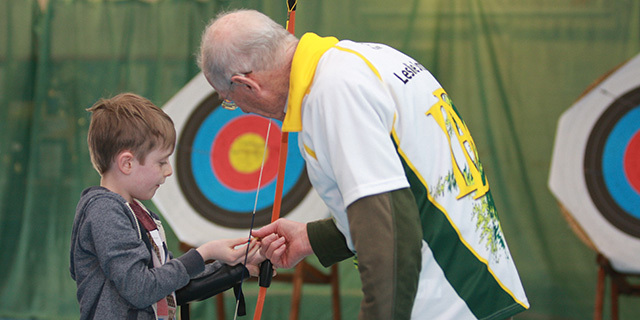 The annual event is organised by the Devizes Lions Club, as part of their Sports Coaching Weekend held at Nursteed School Devizes in April 2017. 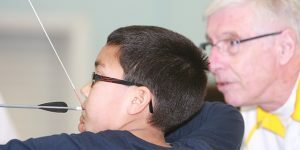 The event encourages local school children, aged 8 – 13 years old, to try over nineteen different sports that they might not get the chance to experience. The Lions Club of Devizes has organised the event for the past 29 years, and Devizes Bowmen have supported the event for over 10 years. 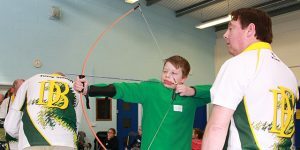 Archery is always a very popular activity and involves over 15 Devizes Bowmen members, who give up their time to offer one to one coaching of the children, through 8 one hour coaching sessions over two days. The Archery event concludes with a team balloon bursting competition on the Sunday.